Running for three seasons in the early ‘80s, Starcade was a game show in which players with excellent hair competed on arcade machines while the host tried to keep up. Now the pop culture preservationists at Shout Factory have the rights to Starcade, and they plan to bring it back. 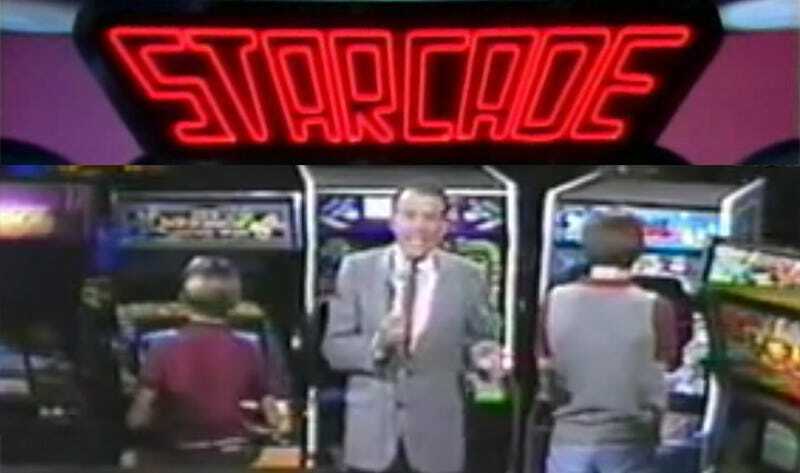 Airing on WTBS in 1982 and 83 with an additional year in syndication, Starcade was the perfect blend of video games and television. Two players competed in quickfire rounds of arcade combat on machines selected by the first person to correctly answer a video game trivia question. The best player at the end of three rounds went to the bonus round, where they’d win a prize if they beat the average score of 20 other players in the chosen arcade game. Starcade was awkward, but not in a way that a video game-loving child of the ‘80s would have noticed. For us, it was pretty much perfect. Reruns of its three seasons were the best programming the now-defunct G4TV gaming cable network had going in the early 2000s. Now Shout Factory, the company behind the new Mystery Science Theater 3000 revival and an endless parade of classic cartoons, tv shows and movies, has acquired acquired worldwide television format and ancillary rights to Starcade from JM Production Company and show creators James Caruso and Mavis E. Arthur, with plans on developing a “retro-boot” of the series for television. Shout Factory will be working directly with JM Production Company, creators of the original show, to create a new version of Starcade in which celebrities, esports professionals and other pro-gaming types compete to see who is the top gamer on the planet. Here’s hoping the contestants on the new version are required to sport magnificent feathered bowl cuts.